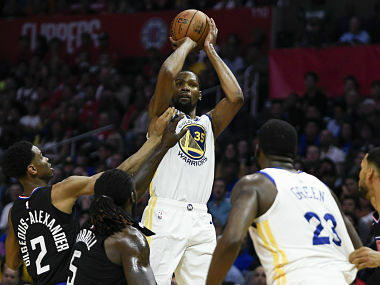 Los Angeles: The reigning champion Golden State Warriors amassed an NBA record 51 first-quarter points on the way to a 142-111 win over Denver in a duel for the Western Conference lead. 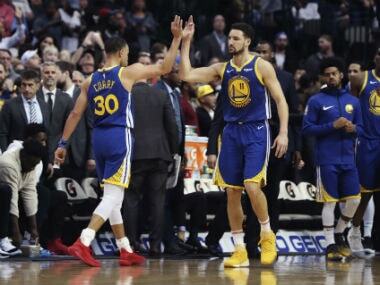 The Warriors moved half a game ahead of the Nuggets atop the West, seizing control with a blistering opening period that included 10 three-pointers – a franchise record for a first quarter. They broke the previous league record for first-quarter points of 50, most recently achieved by the Phoenix Suns against Denver on November 10, 1990. "That was a fireworks show," Warriors coach Steve Kerr said, calling the first quarter display "beautiful, beautiful basketball." Stephen Curry and Klay Thompson finished the night with 31 points apiece, Kevin Durant added 27. Draymond Green scored just four points but delivered 13 of the Warriors' 38 assists. "I liked the way our guys moved the ball," Kerr said. "A lot of shot fakes, playing with purpose, playing with a simple style of execution but aggressive at the same time. "Finding that balance is always what we're looking for and that was as good as it gets." 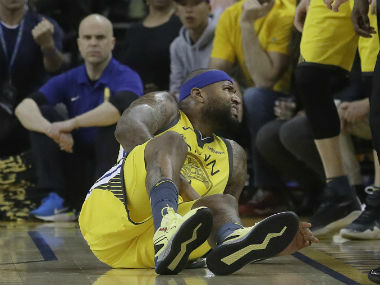 Michael Beasley scored 22 points to lead five Nuggets players in double figures, but Denver simply couldn't keep pace and the Warriors, who have struggled with injuries and inconsistency in the first half of the season, improved to 30-14 -- half a game ahead of the 29-14 Nuggets. "I figured our guys would be excited to play," said Kerr, noting that the Warriors were beaten on their last trip to Denver. "They came in focused and aggressive." The Warriors' statement win was just one of the lopsided results of the day. Philadelphia forward Jimmy Butler's first game against his former team was no contest as the 76ers destroyed the Minnesota Timberwolves 149-107. Sixers center Joel Embiid scored 31 points and pulled down 13 rebounds and guard Ben Simmons fell just shy of a triple-double with 20 points, 11 rebounds and nine assists in an NBA clash that Philadelphia controlled from start to finish. The Sixers scored 83 points in the first half – their highest first-half total since dropping 83 on San Antonio on March 24, 1989. Their 21 three-pointers were a team record. Butler, traded from Minnesota in November after agitating for a move since the start of the season, added 19 points as seven Sixers players – including all five starters, scored in double figures. The rout of a struggling T'Wolves team – who fired head coach Tom Thibodeau last week – was a confidence builder for the 76ers who play their next 12 games against teams with winning records. "We've got a tough stretch coming up against all playoff teams," Embiid said. "I think the next three weeks are really going to shape our season. It's going to be exciting to see where we are." In Indianapolis, the Indiana Pacers led wire-to-wire in a 131-97 victory over the Phoenix Suns. Myles Turner, back in action after missing four games with a sore right shoulder, scored 18 points and pulled down six rebounds for the Pacers, who had 20 points apiece from starting forward Bojan Bogdanovic and reserve Tyreke Evans. Milwaukee's Most Valuable Player candidate Giannis Antetokounmpo had 12 points, 10 rebounds and 10 assists for his fourth triple-double of the season as the Bucks dispatched the Miami heat 124-86. 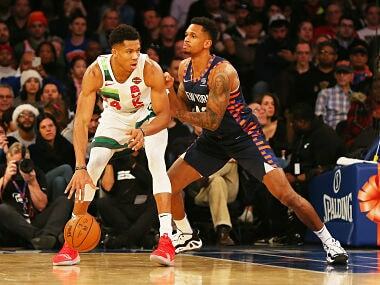 Eric Bledsoe had 17 points and Malcolm Brogdon added 16 for the Bucks, who were on the defensive early but led 30-23 by the end of the first quarter. "I didn't see this one coming," Heat coach Erik Spoelstra admitted. "It was just an onslaught." In Atlanta, the Hawks pulled away with a 24-8 fourth-quarter scoring run to beat the Oklahoma City Thunder 142-126. John Collins led Atlanta with 26 points – setting a tone as he made his first 11 shots on the way to connecting on 12 of 14 from the field. 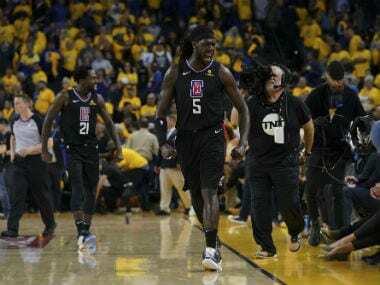 Although the Thunder put up 41 points in the third quarter to take a three-point lead into the final frame, the Hawks surged back with 45 points in the fourth quarter.